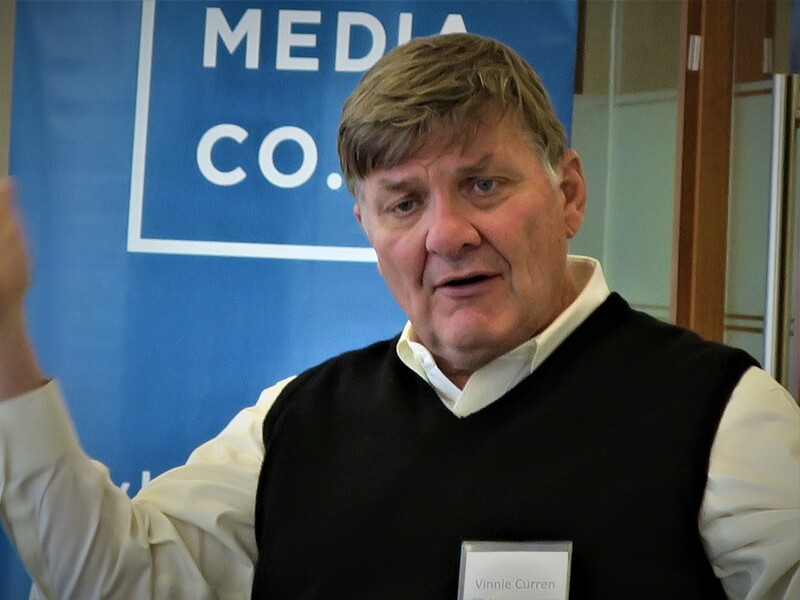 We are delighted to announce that Vincent Curren, principal of Breakthrough Public Media Consulting, Inc., has accepted our invitation to join the Quello Center’s Advisory Board. Given his experience in public broadcasting and his current focus on the future of broadcasting standards and their implications for the industry, his appointment helps reinforce the Center’s broadcast legacy tied to James H. Quello. Recently, Vinnie visited the Quello Center and provided his perspective on the future of public broadcasting. He focused on the new IP-based standard created by the Advanced Television Systems Committee (ATSC), called ATSC 3.0. As he argues, this new standard is likely to enable real synergies between the Internet and broadcasting, and much much more, even helping to usher in the next generation of television. As principal of his firm, Breakthrough Public Media Consulting, Vinnie is helping public media companies navigate today’s dynamic and competitive media world. More concretely, he is working with the Public Media Company to help public television stations leverage the power of ATSC 3.0, the next generation, broadcast television standard. Before leaving to start his own firm, Vinnie served as Chief Operating Officer of the Corporation for Public Broadcasting (CPB), a position that he held for nearly a decade. While at CPB, Vincent Curren had overall responsibility for managing station policy, grant-making and station support activities, ensuring that all Americans receive robust public media services for free and commercial-free. Prior to being named Chief Operating Officer, Vinnie was the Senior Vice President for Radio at CPB. Vinnie has been a major market station general manager (WXPN, Philadelphia), has held programming, fundraising, and engineering positions in radio, been a commercial television producer/director, and has served on the boards of the Development Exchange (now Greater Public) and the Station Resource Group. Vinnie holds a BA from SUNY Buffalo (Psychology) and an MS from the University of Pennsylvania in Organizational Dynamics. After Vinnie was invited to accept our invitation to join the Board, and had a chance to review its members, he spoke of the quality of the Board. He added that, coincidentally, he happened to have been a fellow graduate student at the University of Wisconsin-Madison in the 1970s, with another member of our Board, Bob Pepper, now at Facebook, but formerly at Cisco, and who was a major figure at the FCC. Vinnie said Bob was the ‘star Larry Lichty student’, referring to Professor Lawrence W. Lichty, one of the foremost scholars of the history of broadcasting. In fact, when I first met Dr Pepper, he was a professor at the University of Iowa, and focused on the history of public broadcasting. 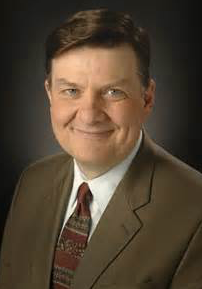 So it is wonderful to have Vinnie Curren, one of the nation’s leading thinkers about the future of public broadcasting, as well as his former colleague at the University of Wisconsin-Madison, Bob Pepper, along with all the other prominent figures on the Quello Center’s Advisory Board. We are honored. 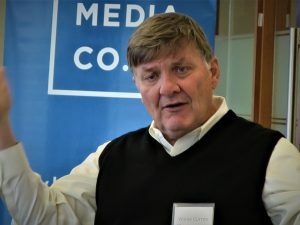 Vincent Curren, Principal at Breakthrough Public Media Consulting, Inc., provided his perspective on the future of public broadcasting, focusing on the new IP-based standard created by the Advanced Television Systems Committee (ATSC), called ATSC 3.0. This new standard will enable real synergies between the Internet and broadcasting, and much much more. 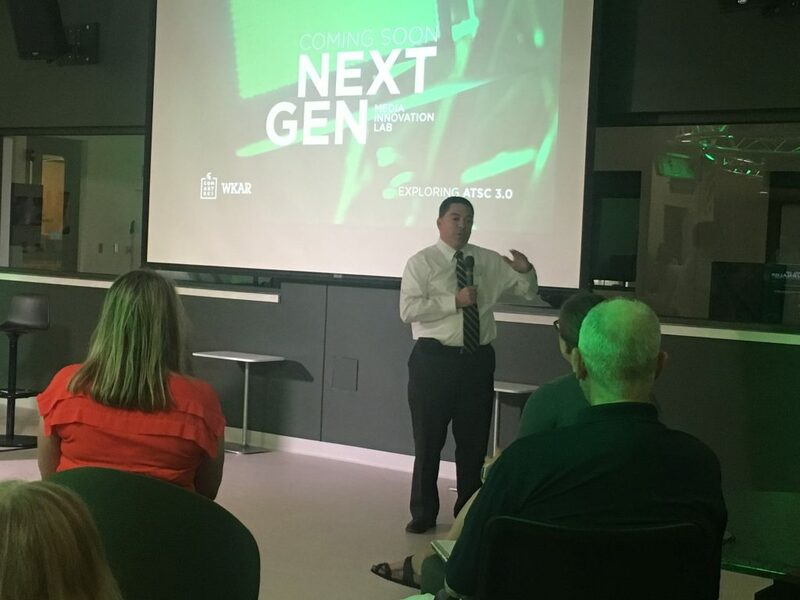 So join us to learn about the future of public broadcasting, and the next generation of television, as well as developments on the ground here in East Lansing at WKAR. Quello Center presents: Next Generation Broadcasting by Vincent Curren from Quello Center on Vimeo. Vincent Curren is principal of Breakthrough Public Media Consulting, a firm that helps public media companies navigate today’s dynamic and competitive media world. 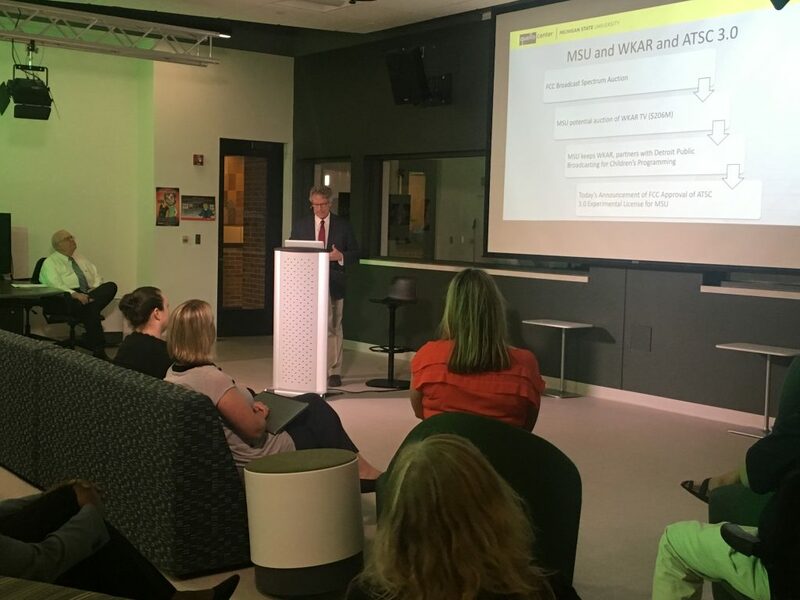 Vinnie is working with the Public Media Company to help public television stations leverage the power of ATSC 3.0, the next generation, broadcast television standard. Before leaving to start his own firm, Vinnie served as Chief Operating Officer of the Corporation for Public Broadcasting, a position that he held for nearly a decade. While at CPB, Vinnie had overall responsibility for managing station policy, grant-making and station support activities, ensuring that all Americans receive robust public media services for free and commercial-free. Prior to being named COO, Vinnie was the Senior Vice President for Radio at CPB.